No one is more enthusiastic about HDPE that mister Bruno Tideman himself. THE SOLUTION he calls it. To a major problem in the boat industry. HDPE is indestructible. It cannot sink. Rocks have no impact on it. No maintenance. And: using HDPE LOWERS THE CARBON FOOTPRINT 5 TIMES compared to aluminium. The old GRP is very easily damaged as are the rubber RIB tubes. One rock, one bump onto the shore and it’s game over. NOT WITH HDPE: a material unlike any other boat building material. It’s light (lighter than water), durable (easy to recycle), inert (no acid effects the surface), and indestructible (we invite you to use a hammer: won’t make a dent). HDPE is a multi-talented material. Let’s start with its density: it can range from 930 to 970 kg/m3. That makes HDPE lighter than water. And that makes HDPE extremely buoyant, even when submerged. Oxygen, salt and water have no effect on HDPE. HDPE will not be affected by the ravages of time. Paint system: obsolete. Salt water: no need to rinse. Simply put: HDPE offers zero corrosion, zero maintenance. With an HDPE hull you will never have to deal with marine growth: it just doesn’t stick. So thanks to its continuous clean and smooth bottom the fast HDPE boat keeps its speed. Without anti-fouling, mind you. So no toxic pollution, no environmental damaging. 4. Aggressive liquids? No harm done! Working with chemical or fuels? Great news: HDPE can hardly be affected by any aggressive liquids. RIB tubes are quickly damaged when bumping into a sharp rock or rampart. Not HDPE. Its viscous and elastic characteristics prevent from both deformation of cracks. HDPE is both tough and flexible thanks to its elastic properties A strong HDPE hull is perfect if you work close to the shore. Frequently asked question: could we get the boat in a different colour? No. We only use black HDPE because of its UV resistancy. Black HDPE is mixed with carbon, which prevents the material to become brittle due to exposure of the sun in tropical conditions. Our HDPE boats are constructed by plate welding, giving great flexibility in creating a boat shaped exactly to your needs. This includes the installation of additional components like benches and storage compartments. Need adjustments in lay-out? Easy as pie with HDPE. What if you need to repair something on your HDPE boat? Mind you, this is a big IF, because these situations rarely occur with HDPE. We just get that question a lot. The answer is simple: any local plastic production company can do it for you. Or DIY – ask us for your own welding kit. 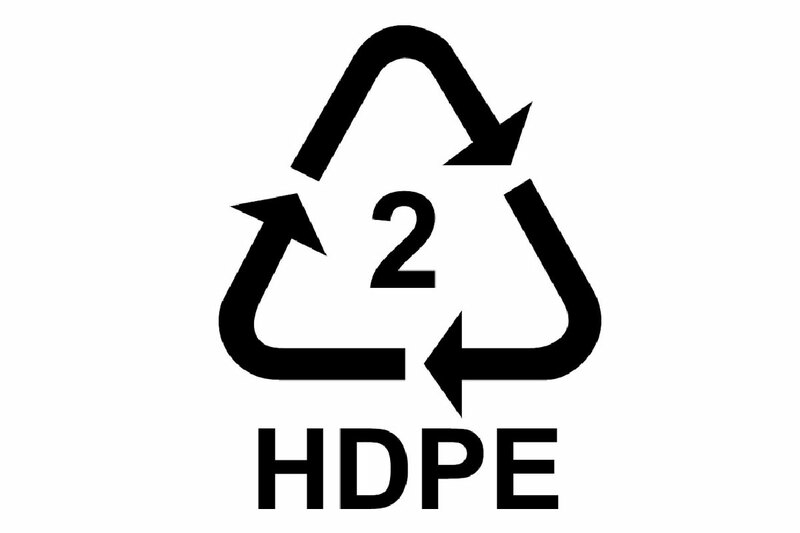 The carbon footprint of HDPE production is 5 times lower than aluminium! And that’s only one aspect when it comes to durability. Another: an HDPE boat is indestructible, so will stay with you for 10, 20, 30, 40 years. GRP boats have a limited lifespan and are impossible to recycle. The same goes for aluminium: metal deterioration will send any aluminium boat to the scrapheap at one point. HDPE, however, is a different story. It can be 100% remelted and recycled in a new PE blend. Why should you melt it, recycle it? You shouldn’t, you needn’t. We just thought you would like to know you could. That’s all.